OLYMPIA — Attorney General Bob Ferguson insists politics isn’t driving his call for a ban on the sale of semiautomatic military-style assault weapons in the 2017 legislative session. It is impatience, and frustration, at a trail of tragedy that in the past year wound through an office celebration in San Bernardino, a night club in Orlando and, in July, a house party in Mukilteo. Ferguson hasn’t drafted any legislation yet. When he gets around to it, he will likely cherry-pick ideas from states such as California, which enacted a bunch of new laws this year. One California law bans the possession of ammunition magazines that hold more than 10 bullets — which is the limit Ferguson said he wants imposed. Another bans the sale of semiautomatic rifles equipped with buttons allowing the ammunition magazines to be easily detached and replaced. Also, persons buying ammunition will need to show identification and undergo a background check to ensure they are not a felon or otherwise prohibited from having firearms. A new database of ammunition owners is to be created in that state. Ferguson announced his intentions to seek an assault-weapon ban in Washington at a press conference Sept. 7, in Seattle, flanked by political and community leaders and the parents of Will Kramer who was shot and wounded at the Mukilteo party where three others were killed. Not all the invitees showed up. Democratic Gov. Jay Inslee didn’t. A spokesman for his re-election campaign didn’t explain the absence but said not to read anything into it either because Inslee is all in on a ban. “There’s no reason why he didn’t attend. He’s very supportive of the attorney general’s efforts,” said spokesman Jamal Raad. Also absent were leaders of the Washington Alliance for Gun Responsibility, the state’s powerful political counterbalance to the National Rifle Association. The alliance, bankrolled by billionaires Michael Bloomberg and Paul Allen and the slightly less wealthy Steven Ballmer and Nicholas Hanauer, passed the universal background checks initiative in 2014. This year the alliance is pushing Initiative 1491 to allow families and cops to get a court order to suspend a person’s access to firearms if there is evidence they are threatening harm to themselves or others. The person subject to such an order must surrender their guns and wouldn’t be able to buy, sell, or possess other firearms for up to one year. Renee Hopkins, the alliance executive director, didn’t explain why no one showed up nor why the organization — which attacks the gun lobby daily in fundraising emails — didn’t issue a public “attaboy” to Ferguson. Alliance leaders could be nervous that talk of banning assault weapons might incite opposition to their measure which, in August, had support of 64 percent in a statewide poll. Hopkins sidestepped the question. In the meantime, this is a busy weekend for those on the front lines of the debate. On Saturday, about 200 people are expected to show up at the state Capitol for a rally and picnic organized by the Gun Rights Coalition. If the past is any indication, some attendees will accessorize with holstered pistols and long guns slung over their shoulders. And undoubtedly speakers will channel the message of National Rifle Association leaders on the threat posed by Ferguson’s plan. 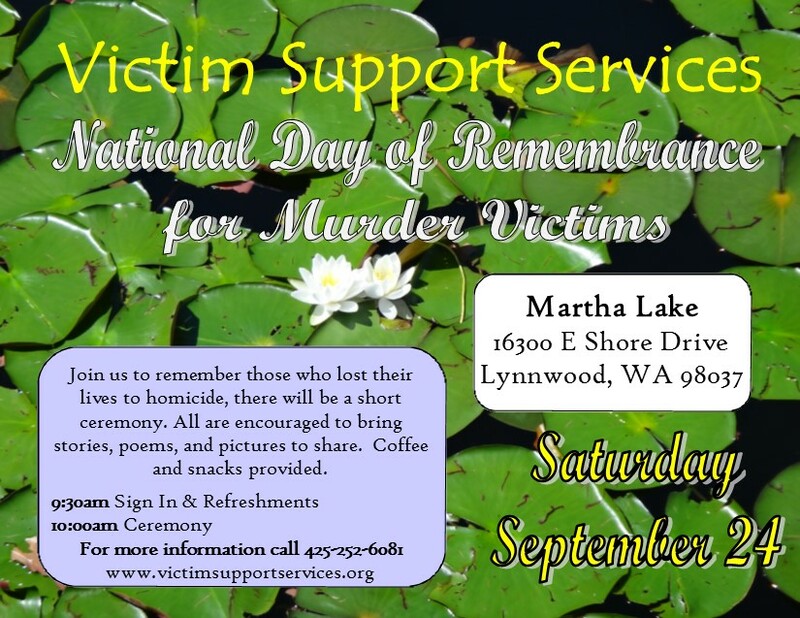 Also Saturday, a 10 a.m. ceremony is planned at Martha Lake in Lynnwood to mark the National Day of Remembrance for Murder Victims. And Sunday, musicians will perform on stages nationwide — including 13 venues in Washington — as part of The Concert Across America to End Gun Violence. The purpose is to honor victims of gun violence and to make its prevention an issue in this year’s elections from state houses to the White House. Ferguson is singing his verse. Jerry Cornfield: 360-352-8623; jcornfield@heraldnet.com Twitter: @dospueblos.